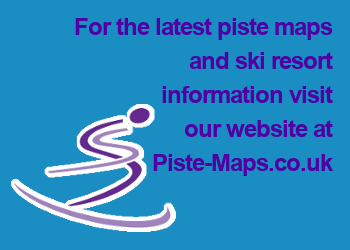 "Fantastic skiing, vertical drop and accommodation but close enough not to be "pisted" off at the size of your carbon footprint! - Hazel Jan '09"
The Swiss Ski Resort of Zematt is surrounded by the dramatic peaks of some of Europe's highest mountains, including the Dom, Monte Rosa and the Matterhorn. Zermatt enjoys one of the longest ski seasons in the Alps and is a world without cars, electric-cars and horse-drawn sleighs and carriages are the only transport allowed. As part of The Ski Matterhorn Paradise, skiers in Zermatt have access to 360km of Pistes, linking to Breuil Cervina & Valtoumenche in Itay. The Klein Matterhorn ski lifts go up to an altitude of 3,883m, the highest cable car station in Europe. Ski Touring, Freeriding, and Heli-skiing: For Freeriders, who wish to ski in secured areas, the Matterhorn ski paradise has 36km of non-prepared pistes, most of these are found in the Rothorn and Stockhorn areas. Air Zermatt, with it's modern fleet of helicopters, offers heli-sking as well as sight seeing flights, airport transport and most importantly mountain rescue. The Theodul Glacier has 21km of Summer skiing, provding skiing 365 days a year. The Theodul Glacier is also accessible from Cervina, Italy. Geneva to Zermatt: 230km (144 miles). Châtillon to Cervinia: 27km (17 miles). Regular bus service from station. The Resort its self cannot be reached, directly, by car; motorists must park a little way down the valley at Täsch. Zermatt: 1,620 - 3,820m (5,320 - 12,530ft). Cervinia: 2,050 - 3,460m (6,730 - 11,350ft). 33% beginner, 41% intermediate, 26% advanced. Beautiful scenery; traditional Alpine village; large selection of restaurants; car-free; linked to Cervinia. Spread-out ski area; accommodation can be far from slopes. ; purpose-built village in Cervinia unattractive.